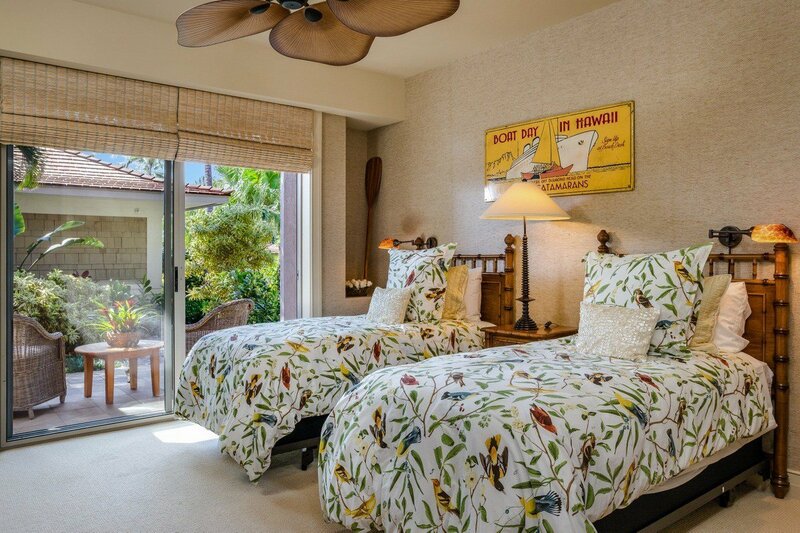 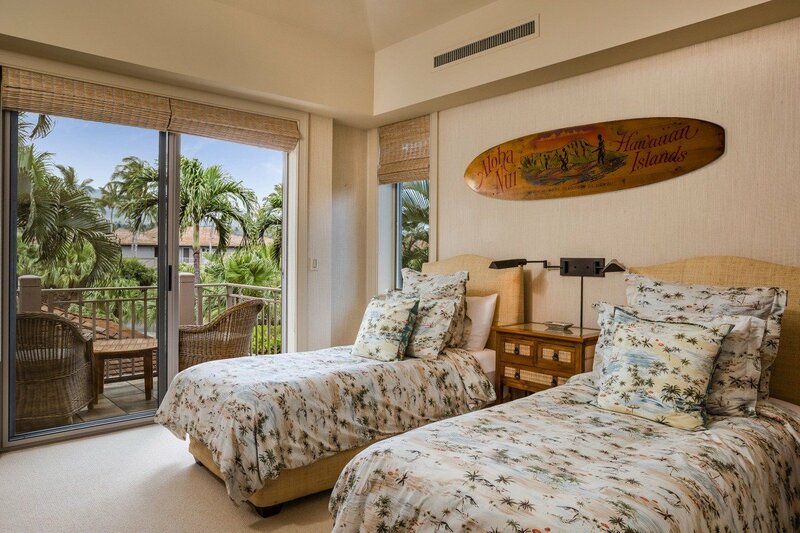 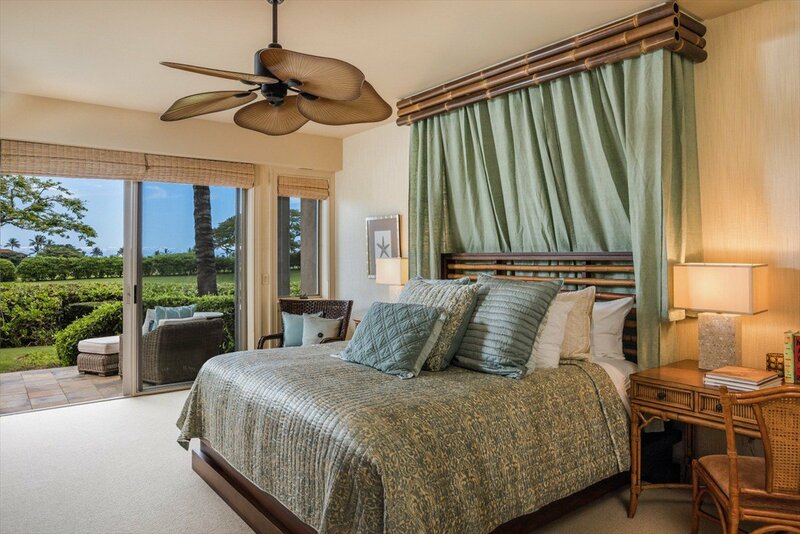 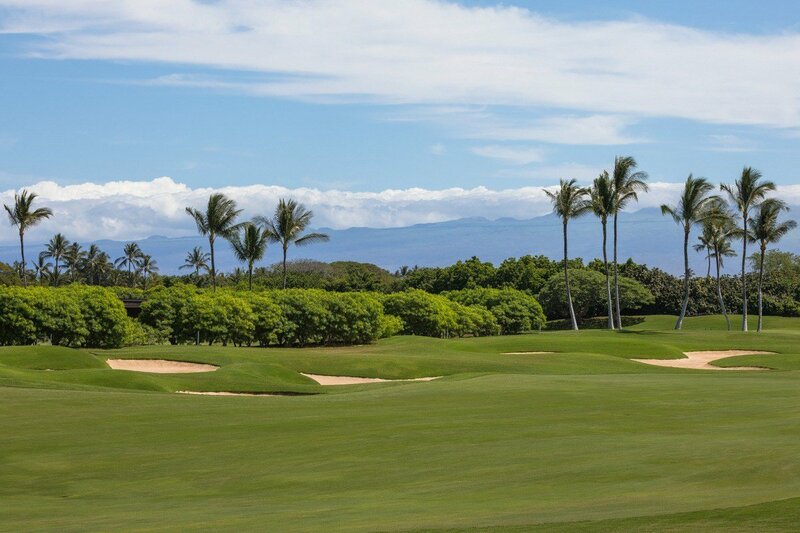 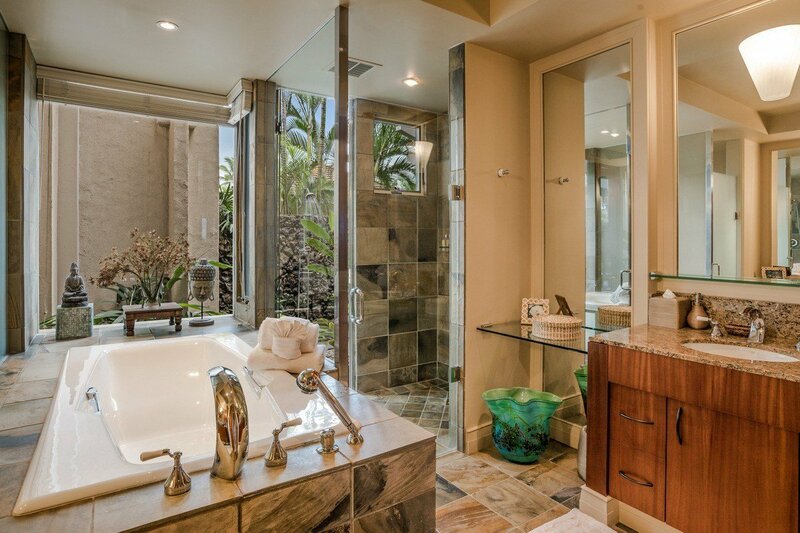 HUALALAI RESORT, Palm Villa 140A: Fronting golf course vistas, this three bedroom, three bathroom townhome with retreat, offers amazing ocean and Maui views set beyond the 15th hole and down the 16th fairway of the Hualalai Golf Course. 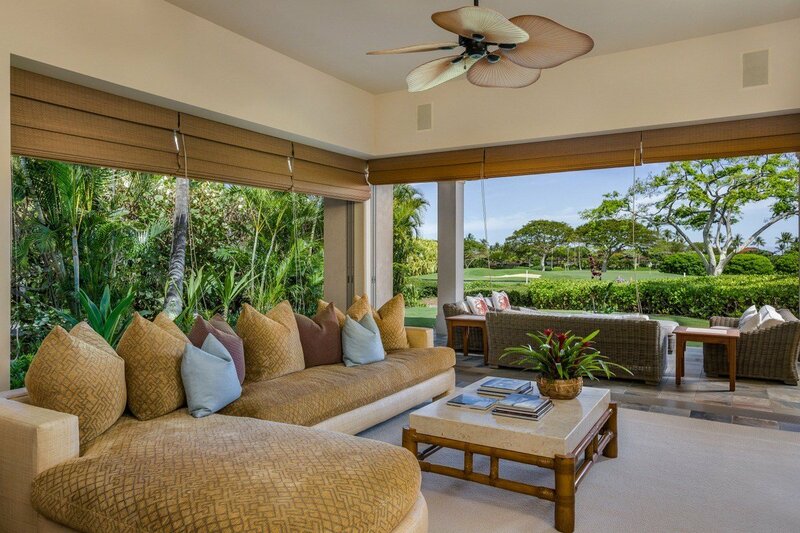 Uniquely featuring a wraparound lanai, this corner villa provides privacy and expansive indoor/outdoor living space. 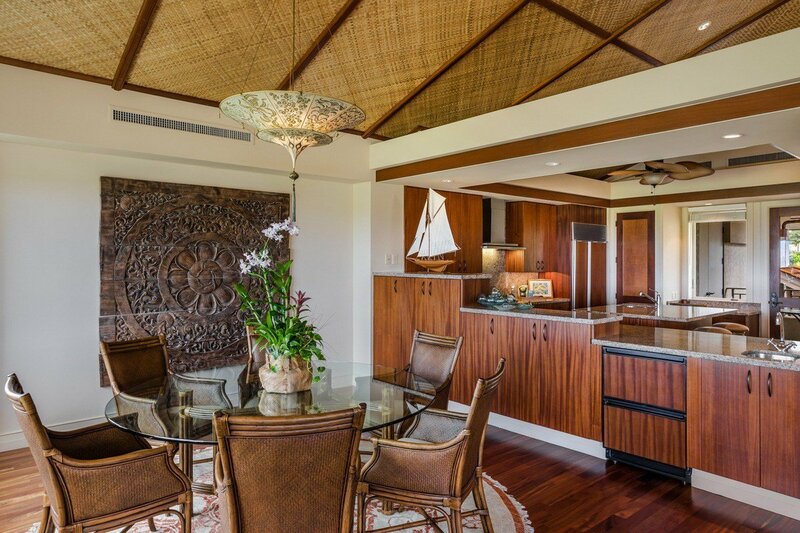 The interior has been well maintained and upgraded showcasing Tiger mahogany flooring up the stairway and into the great room and dining area. 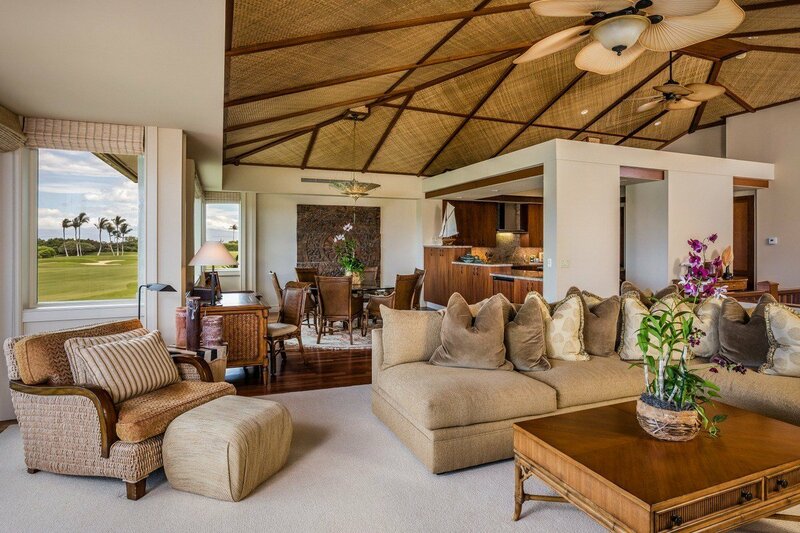 On the upper level, the great room features lauhala treated vaulted ceilings, large windows, and a sliding door that steps on to the covered lanai. 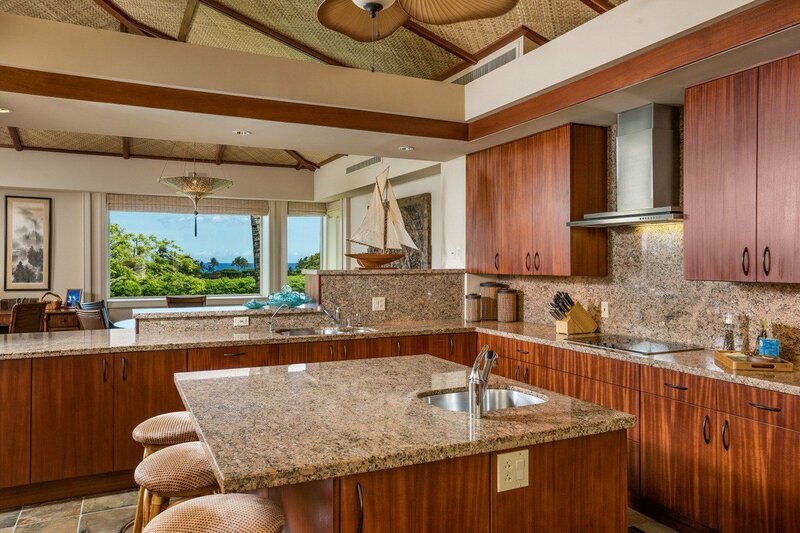 On the lower level, the retreat expands out to the garden lanai, and also provides a wet bar. 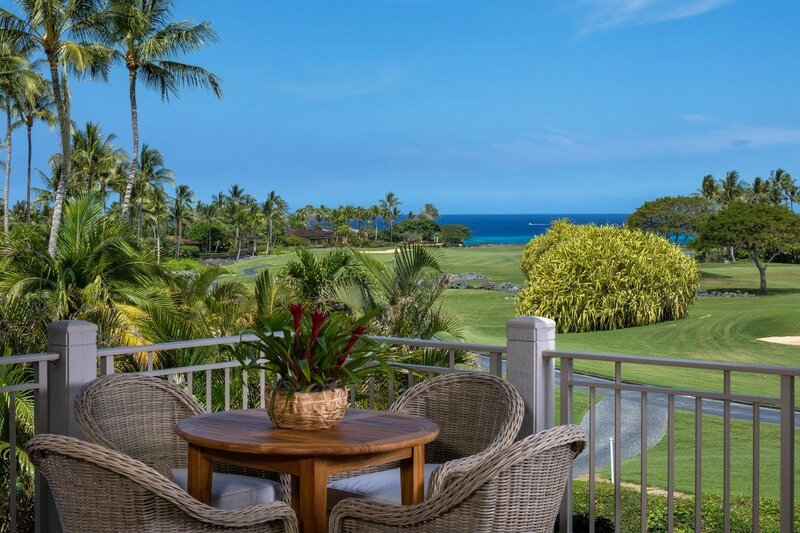 Access to the recreational pool is a short walk from the villa, and it is less than a two-minute golf cart ride to the Members’ Hualalai Canoe Club. 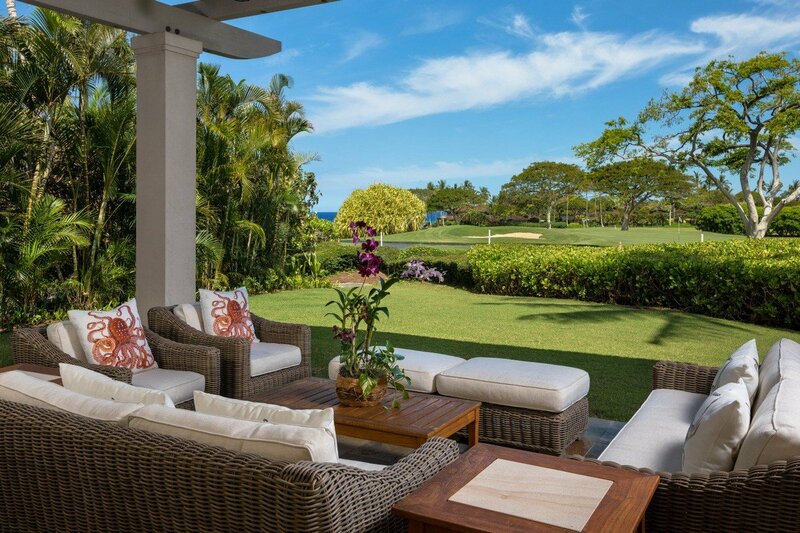 This centrally located villa is also just a short cart ride away from the Ke‘olu Clubhouse and all of the Four Seasons Resort amenities.